Adding grace to the set square measure the inexperienced hanging teardrops adorning the pendant and earrings. 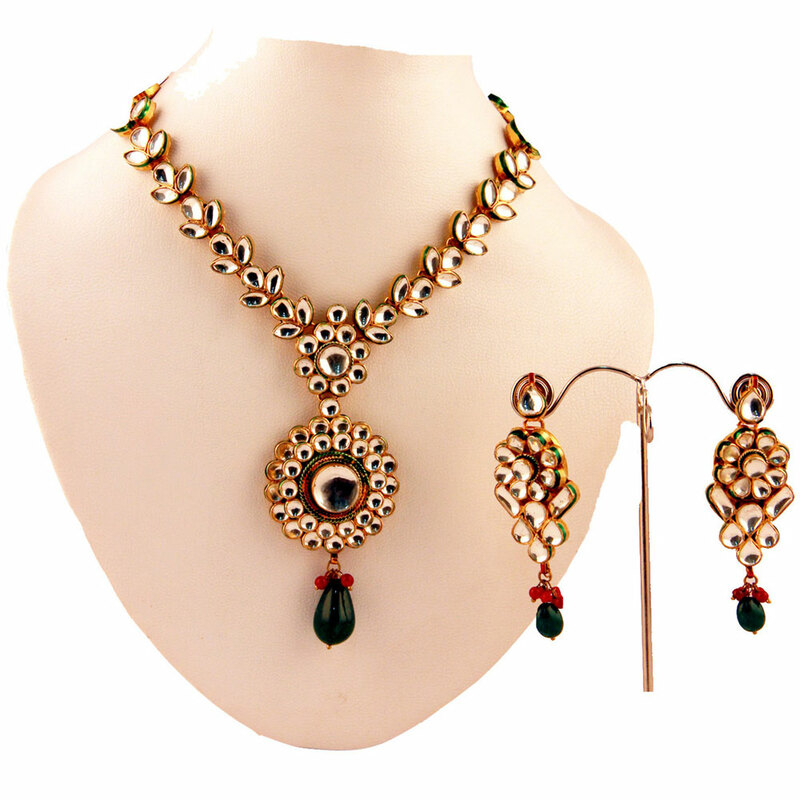 The traditional design of this kundan necklace and earring set makes it a suitable accessory for a host of functions. The beautiful white kundan work Read More..done on a gold plated brass base is simply astounding. Adding grace to the set are the green dangling teardrops adorning the pendant and earrings. Show Less..